Since their inception, Biotics Research has been a forerunner in the field of clinical nutrition. From conception to research to development to manufacturing, Biotics Research provides safe, effective, superior nutritional products for healthcare professionals and their patients. Research, innovation and development have always been the cornerstone of the company’s unique character. Combining cutting edge science with nature, Biotics Research isolates new compounds, assists in clinical research and implements new and effective delivery systems. Their products are manufactured in their own cGMP certified state-of-the-art facility, allowing for extensive pre-production control of raw material stability, in-process monitoring and finished product testing. All supplements are tested for identity, potency, biological activity, heavy metals and microbes. 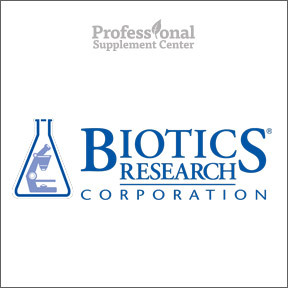 Biotics Research‘s superior line of vitamins and nutritional supplements are available solely through licensed healthcare practitioners. Bio-D-Mulsion Forte – Each drop provides 2,000 IU of vitamin D3 in a concentrated liquid, micro-emulsion form. Designed for enhanced absorption and utilization, this formula is especially helpful for those with malabsorption issues. Gluten and dairy free. PheniTropic – This product contains a GABA derivative, a naturally occurring inhibitory neurotransmitter. Shown to have a calming effect, PheniTropic™ may assist in instances of stress, anxiety and occasional sleeplessness. Gluten and dairy free. B-12 2000 Lozenges– Each pleasant tasting lozenge supplies a high potency level of synergistic vitamins B12, B6 and folate. Gluten and dairy free. ADHS – This non-glandular formula is designed to provide nutritional support for the adrenals and to support normal cortisol levels. Contains traditional herbal adaptogens and supportive vitamins and minerals in a gluten and dairy free, vegetarian formula. Mg-Zyme – One capsule supplies 100 mg of supplemental magnesium in a blend of mixed mineral chelates in support of musculoskeletal, cardiac and immune health. Gluten and dairy free. This entry was posted in Home and tagged ADHS®, B- 12 2000 Lozenges, Bio-D-Mulsion Forte, Biotics Research, Mg-Zyme™, PheniTropic. Bookmark the permalink.